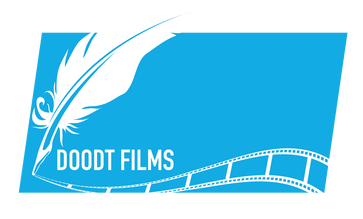 Testimonials - Doodt Films. Ideas. Visualised. Very receptive to feedback in fine tuning the initial drafts, and passionate about what he does - always a pleasure to work with Patrick! We have been working on the Inclusion Culture Study Session in 2017. Working with Patrick was simply amazing! He has been very aware of and flexible with the inclusive nature of the mixed-ability study session! We have been delighted with the accessible video report of the study session! Hope we will collaborate in the future too! Patrick has the exceptional ability to get others excited and involved in a project and also to help others realize their own potential and importance in a collaboration – proving that a cooperative effort leads to the best results. His professionalism and positive outlook make working with him not just productive and efficient, but a joy. This is my personal recommendation for Mr. Patrick Doodt who worked with ECOS, CRL during the first international conference of DYPALL Network "Youth Policy at Local and Regional level: Developing our territories through youth participation in decision making”, narrating with his videos the overall event as well as the individual days of activities. Patrick has been consistently pleasant, always with a smile for all participants and staff. He collaborated well with the organization team and the rest of the media team even if it was the first time working together; he was flexible and helpful, being able to fill in if a team member was busy elsewhere, accommodating our needs and delivering more than agreed. The on-the-spot idea of preparing daily summaries of the Conference was a surprise to us as much as to the participants and we highly admire by Patrick's capacity to so quickly deliver short videos every day. We were also positively impressed with his capacity of not only capturing "beautiful moments" that looked good on camera but also "meaningful moments" which conveyed the content of our work and really created a visual report of what was done and achieved during the Conference. Finally, the main short movie documenting the overall event was timely delivered and it is a high quality product that we will be able to keep using over time. I am happy to act as a reference for Patrick and express my appreciation for his work and dedication. "Our work with Patrick Doodt based in London, UK and Konstanz, Germany aimed to make a biographical documentary about Tuncay Kurnaz, who is the owner of the ‘‘Bistro1’’ restaurants in Central London. I was thrilled when Patrick’s fast creative photo and video shoot implementation technique resulted in a net high quality video in the first two weeks. What I appreciated most about working with Patrick was his ability to cut through the predictable politics of a project, fast delivery of the project, very reasonable pricing comparing to other companies, and to keep everyone happy." "Patrick Doodt was producing a film for the Offene Jugendarbeit Kreuzlingen (OJA) about our Slopestyle Event on the 12.03.2015. This event was planned with an organising committee consisting of young people with the OJA for a long time. To capture this great result and to show what it takes to create such an event, we worked together with Patrick Doodt who created a fantastic film. Once we started discussing with Patrick to create a film about the Slopestyle-Event, the ideas about how to build the film and what needs to be a part of it began to flow. Since this happening would take several days of construction and dismantling afterwards, we considered together how many days and hours he would need to invest in this project. Patrick delivered a tender with all of his items. This tender was very fair and so we started the project. Patrick is very reliable, punctual and always has many creative ideas about what needs to be in the film. He implements his and our ideas in a determined way and is giving, in the truest sense of the word, the full use of his physical strength. He is technically well equipped and has an eye for a special camera angle. He filmed a lot and it is a massive challenge and a form of art to edit a short film out of it. He delivered previews for us which we then evaluated via mail or in a personal discussion. Patrick is very able to take criticism and implements all of the discussed points in the product. He distinguishes himself with his ambition and perfectionism. He does whatever it takes to create an outstanding film. We are very excited about the final product. All discussed aspects were implemented, the participation of the young people is greatly visible and Patrick’s artistic potential as well as his own handwriting are noticeable. We can use this film perfectly to present our work and institution and what it means to involve young people in a project as well as what use they can gain from this participation. The video is shown during official occasions and as a presentation about our work. It was very enjoyable to work with Patrick, since he is a very creative person and a perfectionist, who is able to work with feedback and inspires everyone with his enthusiasm. We would start a new project with him at any time. What we did not think of in the beginning was how important it is to have an intro and outro for the video. It was very important for Patrick to develop an animation which explains our logoand is creative, funny and appropriate for young people. He convinced us about it with his effort and his individual animations. This distinguishes him as a videographer and makes him stand out from the crowd."